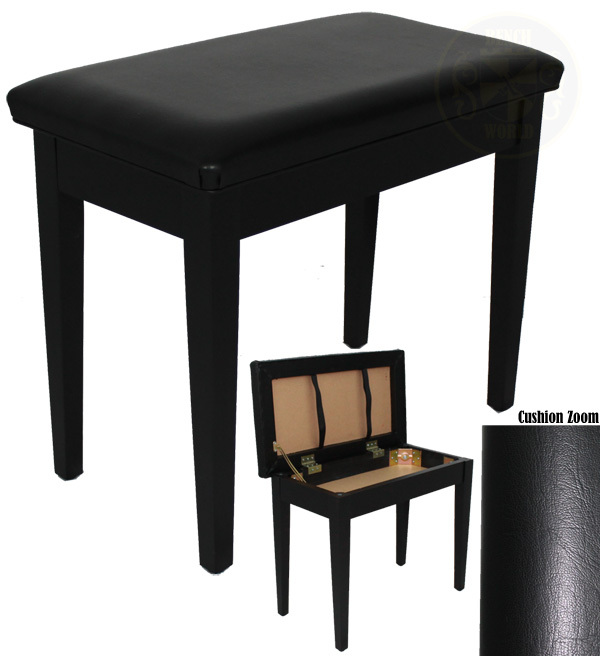 This padded bench comes in a satin ebony finish, with vinyl upholstered top. Large music storage compartment. The smaller size makes it a great keyboard bench, or for upright pianos.